We are pleased to share with you the RUFORUM 11th Annual General Meeting (AGM) program booklet. 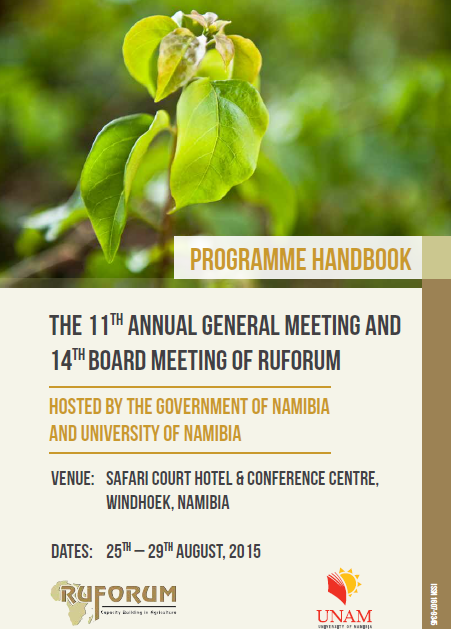 The RUFORUM AGM will take place next week 27-29 August, 2015 in Windhoek, Namibia. This year’s AGM will be hosted by the Government of Namibia and University of Namibia. 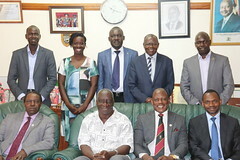 The RUFORUM AGM provides a platform for RUFORUM member universities to lesson learn from each other and non-member universities as well as key stakeholders in higher education and agricultural development who are normally invited to attend as observers. To download the full program booklet, click here AGM Programme.